 At Clarity we’re on a mission to fundamentally improve the lives of women through mindfulness, relaxation and sleep – one calming breath at a time. If you have never tried mediation before or would like a refresher we created a 10 day introduction to mindfulness. We will also take you through core concepts of mindfulness and breathing concepts one day at a time. During Clarity’s guided sessions you’ll be taught how to reconnect to your body, giving you the space to listen to it’s signals. We have included visual aids to help you regulate your breathing and allow you to relax. Our app is easy to use and has a variety of free and in-app subscription sessions. You can find out more about our packs here. As well as a guide to help you understand the app here. Why not download the app and try it for yourself? Users must not use the information on the app as an alternative to medical advice from your doctor or other professional healthcare provider. If you have any doubt or specific questions about your medical health you should consult your doctor or other professional healthcare provider, and should you suspect you may be suffering from a medical condition you should seek immediate medical attention. Never delay speaking to a qualified healthcare provider, disregard medical advice you have been given, or discontinue medical treatment because of information found on this app.